It's almost that time of year again! And by almost, I mean State Fairs are happening! Mark your calendars- Bids will close Sunday, September 7th at 6:00 pm for the 2014 Schaeffer/Tice Pasture Sale. We've been busy this summer and are excited about the set of cattle we have to offer. Below is the first look at the sale information sheet. We still have a few details to fill in and will update as we get a little closer to time. We have started picturing in small groups. Pictures can be viewed on the Schaeffer Simmental website under the "Sale" tab. 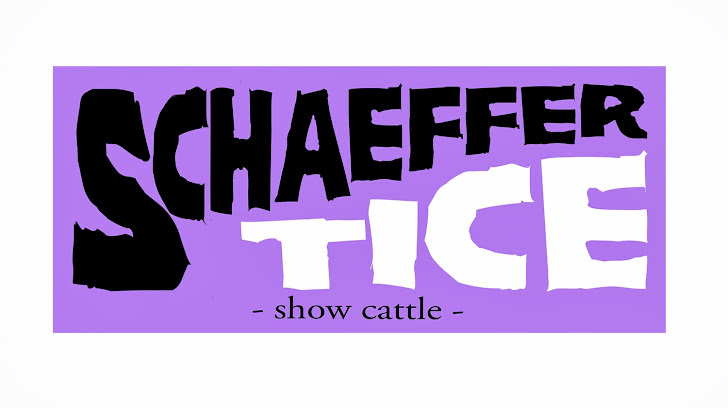 We have also been updating through Facebook, so be sure to like Schaeffer Show Cattle. After we get through State Fairs we will begin updating the blog as well. It's not to early to stop by and see what we have to offer. Contact Tim and let us know when you'll be through. We look forwarding to visiting with you and looking at cattle! 37- Steel Force x Hot Rod, Mar 2, 3/4 Simm.